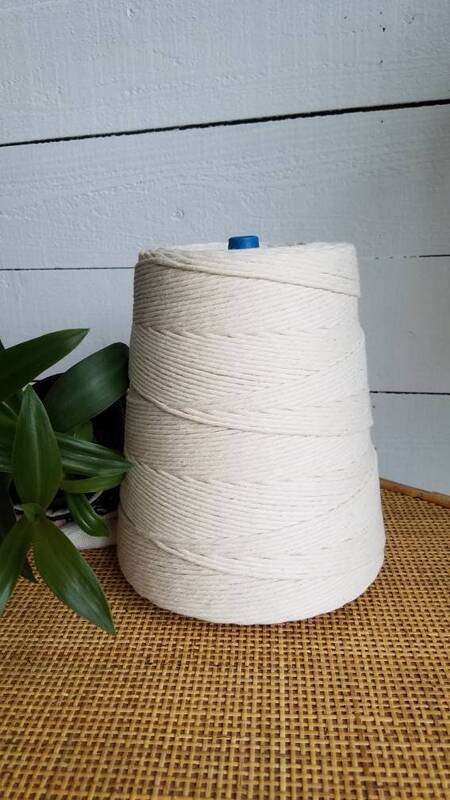 Approx 2,560 feet of 3mm 100% cotton rope in a natural off-white shade. 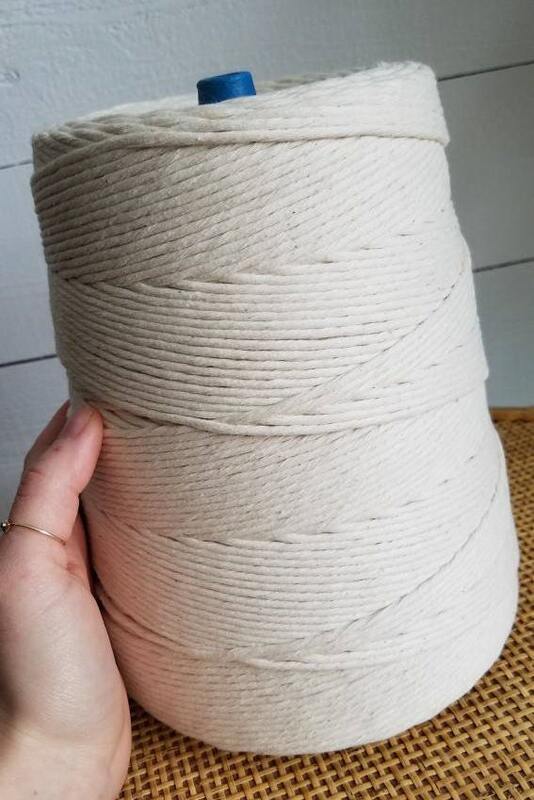 These giant spools are twice the size of our original 3mm - Last photo shows a comparison for reference. Works great for macrame and craft projects, combs out for a beautiful fringe. 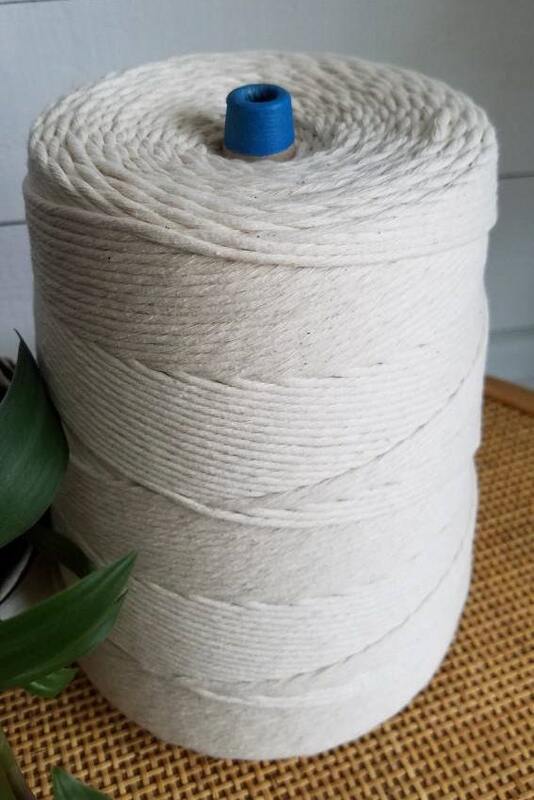 Please see my other listings for other colored and natural rope in 1, 3, 4, 5, 6 & 7mm. 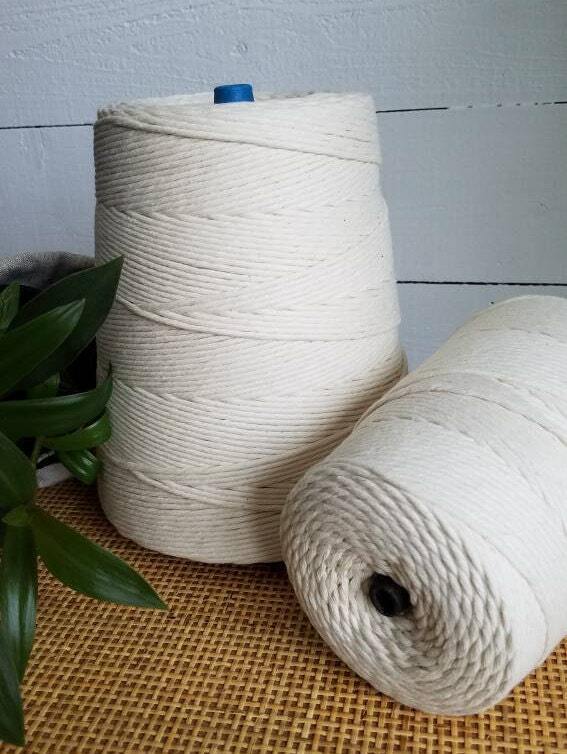 Measurements are approximate as the rope expands after it is unwound from the cone. Site estimates shipping and sometimes calculates a bit high, any overages in excess if $1.50 will be refunded to buyer. International customers may be subject to additional fees and taxes from your country, buyer is responsible for such charges. Colors may vary slightly due to monitor settings.